Creativity can come in many forms, but it’s a part of what makes each one of us special in our own unique ways. Some people choose to express themselves through music or song, while others choose writing as a way to clear their mind and experience a healthy dose of pleasure. For children with special needs, how they deal with the world is different from the rest of us, but there are definite ways to soothe their fears while helping them improve on a number of levels. The word art means, “the expression or application of human creative skill and imagination, typically in a visual form such as painting or sculpture, producing works to be appreciated primarily for their beauty or emotional power.” In addition to the aforementioned painting and sculpting, art can take the form of photography, paper folding or drawing and helps people engage the side of their brain that is often used for artistic expression – the right side. In short, it’s an alternative form of therapy that can help a child with special needs work through issues that are troubling to their development. This can include physical, emotional, mental or behavioral conditions and is designed to work with your child’s unique strengths on their own terms. Practicing any form of art has been shown to lead to increased motor skills, improved focus and a better mood, especially if practiced in an environment that allows your child to relax and feel safe. Art therapy is often related to special education and addresses a child’s unique qualifier for special education services in order for them to overcome and succeed in a particular setting. Disabilities that qualify for art therapy often include autism and other disorders on the spectrum, behavioral issues such as ADHD, learning disabilities or emotional disturbance. If a school-age child qualifies for art therapy services, these are often performed in an educational setting with a qualified therapist and work on treating your child’s specific limitations. The point of art therapy is to facilitate positive changes in a child’s behaviors, thoughts and feelings and can be accomplished in a number of ways. Primarily, art therapy relies on how art impacts the neurological system, so the artistic materials being used during therapy are seen as an intervention of some sort. It can present its own set of unique stressors and challenges as a child with special needs learns material manipulation, focus and how to nurture tangible relationships. 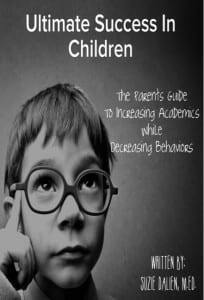 This is incredibly beneficial because it helps the child “unlearn” a behavior that has previously been associated with a negative emotion or situation, and replaces it with positive change and behaviors. Over time, this new action will become the primary reaction to specific circumstances and your child will improve for the better. 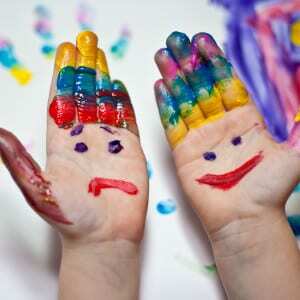 Which Children Qualify For Art Therapy? Simply being eligible for special education services does not qualify a child for art therapy; there are additional factors that need to be assessed for correct diagnosis and a definable course of treatment. This list represents general guidelines that most schools use to determine whether or not a child is eligible for art therapy services, but your child’s unique abilities will be taken into consideration when making a determination. Your child’s Individualized Education Plan (IEP) will contain ways in which to reach clear, definable goals and this might include art therapy as a viable form of educational intervention. 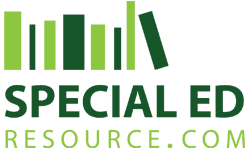 If your child is receiving special education services through the school system, you are already knowledgeable on what an IEP is. If you’re unsure, this is an assessment of your child’s condition by you, the school’s officials and specialists to determine the best course of treatment for your child to improve on certain stumbling blocks to educational success. Art therapy focuses on a child with special needs gaining new skills while limiting environmental distractions and unproductive behavior. Students will learn to achieve new goals through action-based, dynamic educational principals and experience how important effort is over actual ability. This is the difference between the process of making art and the progress of the art, and can help a child feel confident in their own abilities while teaching them appropriate actions and behaviors. School personnel, educators and art therapists are trained in the art of handling a child with special needs, and can shed a unique perspective on your child’s education. They can help to promote insight into your child’s abilities and limitations, as well as help the child see that their abilities don’t necessarily mean “setbacks.” Improving a child’s self-esteem and worth through positive artistic expressions is a great first step towards bigger, better goals. If you have concerns about your child beginning art therapy services through the school, be sure to communicate your thoughts and feelings before starting the process. Address them during the creation of your child’s IEP, or speak with the school directly before scheduling an IEP conference. Schooling a child with special needs demands complete transparency on everyone’s part; withholding vital emotions or concerns only serves to create a roadblock to success. At Special Education Resource, we want to help your child reach their excellence. We offer several services to help achieve their goals including supplement learning. A child with special needs requires an individual approach to learning and often struggle in the traditional channels of today’s education. If they can’t learn in the way we teach, it’s vital to teach in a way they can learn. This entry was posted on Thursday, November 13th, 2014 at 4:35 am and is filed under Special Education Therapy and tagged as . You can follow any responses to this entry through the RSS 2.0 feed. Thank you very much for the new information! You’re welcome Mohamed! Art Therapy is an amazing tool for so many children! I am a seventh grader. At my school we do something in science called a 20% Project. The project lasts year round. You get to choose what your project is about, I chose art therapy. We do research on our topic. Then we find a way to put it to use. The way i am hoping to put my project to use, is to get an art therapist on campus for special needs children to go to daily. But its just not that easy. First I have to speak with the schools counselor and get her on board. I need a ton of information on art therapy. Do you happen to have any excess information on art therapy? If you do please email me back. There are many ways to help a child with special needs achieve greatness. As parent’s, it’s important to understand the different methods of therapy available today. 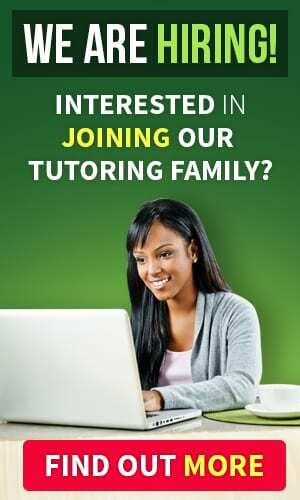 This clarity will give you a better idea as to whether or not they would work for your child. In short, art therapy is an alternative method to help a child with special needs work through issues that are troubling to their development.